The short distance to the city center makes Askøy an attractive area for the creation of new residential and commercial areas. This is an essential basis for the municipality with considerable migration and a growing businesses. Growth has traditionally been handled through sparsely populated areas with growing infrastructure needs based on private car and dismantling of cultivated land. Our study for the development of Kleppestø is based on the idea of ? ?establishing a real center of the municipality with distinct urban qualities. A strategic development of the area will contribute to a sustainable development where existing public transport (boat and bus) between Kleppestø and Bergen are fully utilized. The emphasis remains on developing an urban structure that includes residential, commercial and cultural purposes. It was important to create a living center that can be an asset to the local inhabitants. 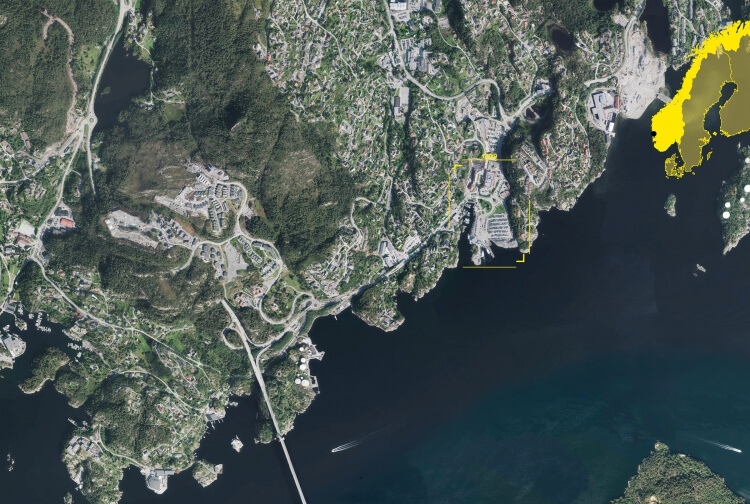 While the study demonstrates that a sustainable strategy for Askøy can handle future growth, it has also been important to ensure that the project will safeguard public interests and needs. The development of a public waterfront is a key element of the proposed plan, which will ensure that future Kleppestø center will be a resource for the entire municipality providing qualitative framework for social activity.